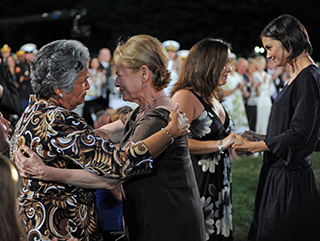 Dianne Wiest and Katie Holmes with honorees Each year viewers send thousands of letters and emails in honor of loved ones and friends who have been wounded, or died, in one of America’s conflicts. 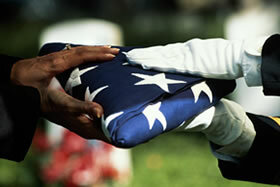 Your contributions are a central part of the Memorial Day narrative, and are delivered to the appropriate memorial. 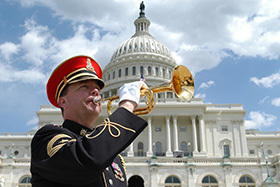 Become a part of the National Memorial Day Concert community by posting a remembrance, sharing your story of service, or honoring and supporting our brave men and women in uniform. 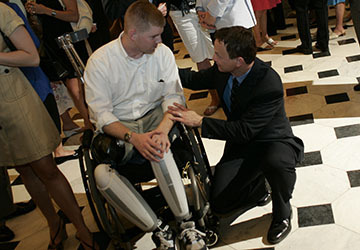 Honorees on the show share their stories of great pain and sacrifice in the hope their experiences will resonate with, and pay tribute to, others who have sacrificed for our country. 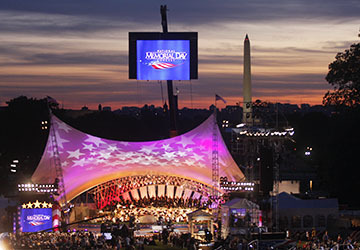 For over 25 years, the National Memorial Day Concert has honored the real-life stories of service members, veterans and their families from across the services, spanning the broad history of the nation’s military conflicts. General Martin Dempsey, USA (Ret.) 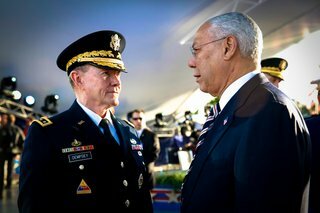 and General Colin Powell, USA (Ret.) at the 2015 National Memorial Day Concert Distinguished veterans, including General Colin Powell, USA (Ret.) and Charles Durning, have participated in the concert over the years, offering their experiences and perspectives to honor wounded and fallen soldiers and their families. In addition to their military service, these veterans have continued to serve through their support of our returning service members and their families. The Chairman of the Joint Chiefs of Staff and Joint Chiefs of Staff have also been a part of every concert, offering their leadership perspective on the value and honor of military service, and acknowledging the challenges that veterans and their families face. Co-hosts Joe Mantegna and Gary Sinise, along with previous hosts Laurence Fishburne, Ossie Davis and E.G. 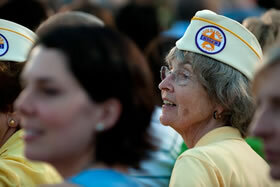 Marshall, all had personal connections to veterans causes and to supporting troops in active service. Eleven-time host Ossie Davis also served in the Army Medical Corps in WWII from 1942–1945. 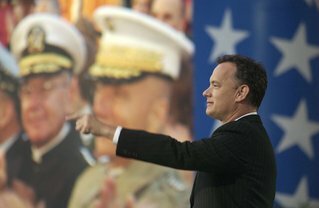 Tom Hanks paying tribute to veterans Since 1989, the producers of this multi award-winning event have been privileged to welcome acclaimed stars from the worlds of stage, screen and music, including: Gloria Estefan, Tom Hanks, Katie Holmes, George Clooney, Forest Whitaker, Allison Janney, Ed Harris, Jimmy Smits, Richard Dreyfuss, Kathy Bates, Dianne Wiest, The Beach Boys, Natalie Cole, Gladys Knight, B.B. King, Trace Adkins, Martina McBride, Vanessa Williams, Brad Paisley, Jennifer Nettles, Alison Krauss, Katherine Jenkins, and the virtuosic National Symphony Orchestra, to mention only a few. 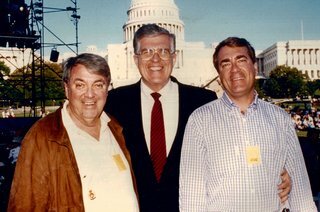 The production team working at our U.S. Capitol site has grown together as a supportive community over the last 25 years. In addition to creating a world-class broadcast, they also dedicate themselves to the cause, working to ensure a meaningful and memorable experience for honorees, performers, audience members and viewers at home. 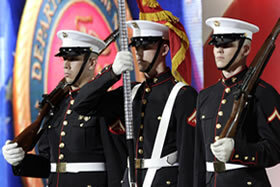 Many of the production staff, veterans of numerous network television series and specials, call the concert “the most meaningful” production they do all year long. For over 25 years, we have gathered to share our stories and honor our fallen soldiers, veterans, service members and their families -- in what has become a memorial service for our entire nation. Over the years, we have been privileged to feature a wide range of talented artists who have dedicated themselves to creating moving tributes to all our service members. 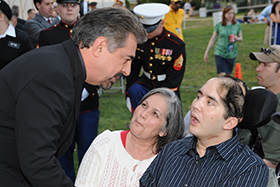 The National Memorial Day Concert family has become a true community of support for our troops, reaching out to soldiers, veterans and their families to let them know we care.